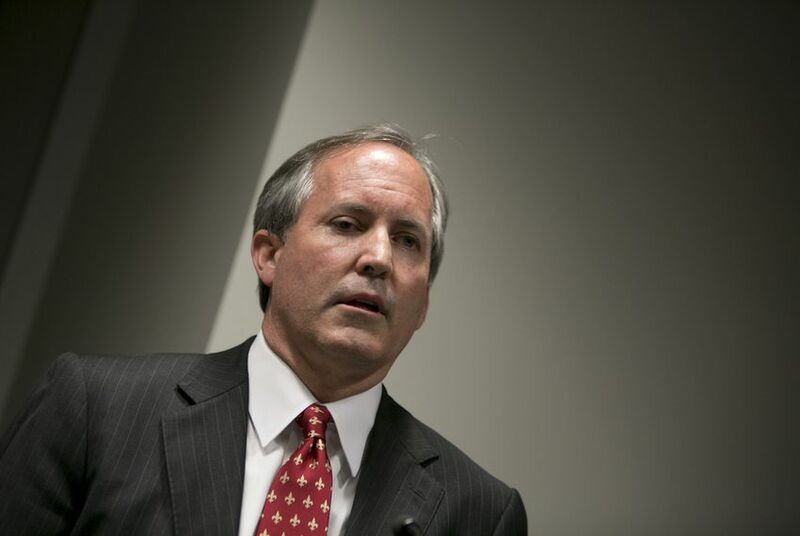 Lawyers for Texas Attorney General Ken Paxton are seeking to void a number of major rulings in the securities fraud case against him, arguing the judge who made them did not have the authority to do so. Paxton's team on Wednesday asked a higher judge to throw out the rulings, which included an order to change the venue — a major setback at the time for the attorney general. His lawyers now say state District Judge George Gallagher should not have overseen the case beyond 2016. The request amounts to the biggest escalation yet in the Paxton lawyers' standoff with Gallagher, who moved the case to Harris County last month. Prosecutors had argued the attorney general and his allies had tainted the jury pool in Collin County, where Paxton lives. Paxton's team has since been looking for ways to get a new judge in the case, which centers on allegations that Paxton misled investors in a company from before his time as attorney general. Gallagher plans to remain on the case, a spokeswoman for the judge said last month. In their Wednesday filing, Paxton's lawyers said Gallagher had "no authority" to make rulings in 2017 because his assignment to the case expired at midnight on Dec. 31, 2016. They base that claim on an assignment order that has not previously come to light in the case. In addition to the order to change the venue, Gallagher's rulings this year included denials of motions to dismiss and to delay until prosecutors can get paid. The judge declined to comment through a spokeswoman on the Wednesday filing. Gallagher, who is from Tarrant County, has presided over the case since its early days in 2015, when Collin County's Chris Oldner stepped aside due to his ties to Paxton. Oldner did not seek re-election in 2016, instead running for a seat on the Texas Court of Criminal Appeals, a race he lost. Oldner was succeeded by Andrea Thompson. The case should now return to Thompson, Paxton's team said in its Wednesday filing, which was addressed to Mary Murphy, the presiding judge of the First Administrative Judicial Region of Texas. Paxton, who has pleaded not guilty, is on track for a September trial in Harris County on the lesser of three charges he faces. If convicted in the overall case — which began when a Collin County grand jury indicted him in July 2015 — he could face up to 99 years in prison. Gallagher plans to remain on the case despite efforts by Paxton's lawyers to get a new judge. The newly relocated trial in Harris County is scheduled to begin Sept. 12.